My grandparents’ nicknamed me 面条虫 (noodle bug) when I was a baby because I was a picky eater and all I would want to eat was noodles. We could go to a buffet for dinner, but I would still ask my grandparents to make me noodles when we got home (which I’m sure they were thrilled about). And to be real with you guys, this strange love I have for noodles hasn’t withered away much since then—I still eat a bowl of noodles pretty much every single day. My mom says it’s because she ate a lot of udon when she was pregnant with me, but I think I just like the texture. Either way, there’s no doubt my mom has influenced my love for noodles because it’s her favorite food too. 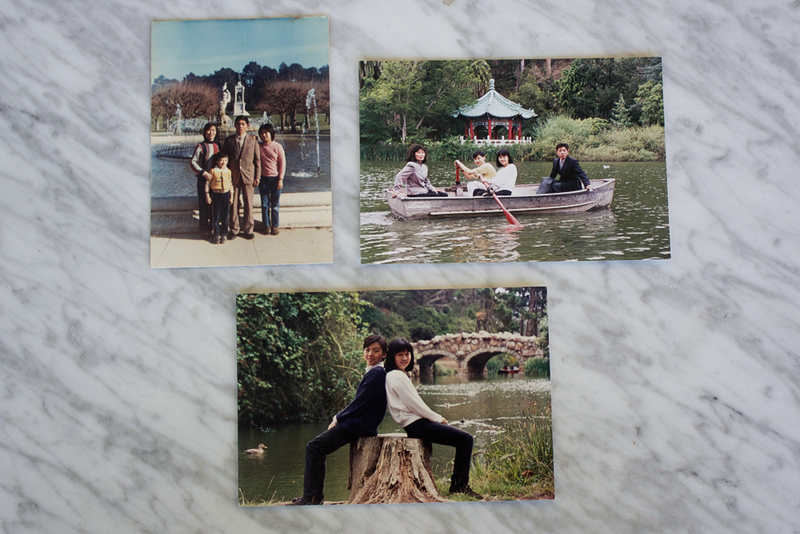 In 1984, when my mom was 14, my mom’s side of the family moved to San Francisco from XuZhou (徐州), China with little money in their pockets. So my mom, her two siblings, and my grandparents landed in a little apartment on Clement Street, which they shared with one other family in order to make it by. In total, there were ten people living in that two-bedroom apartment, with five people sleeping on the floor in each room. 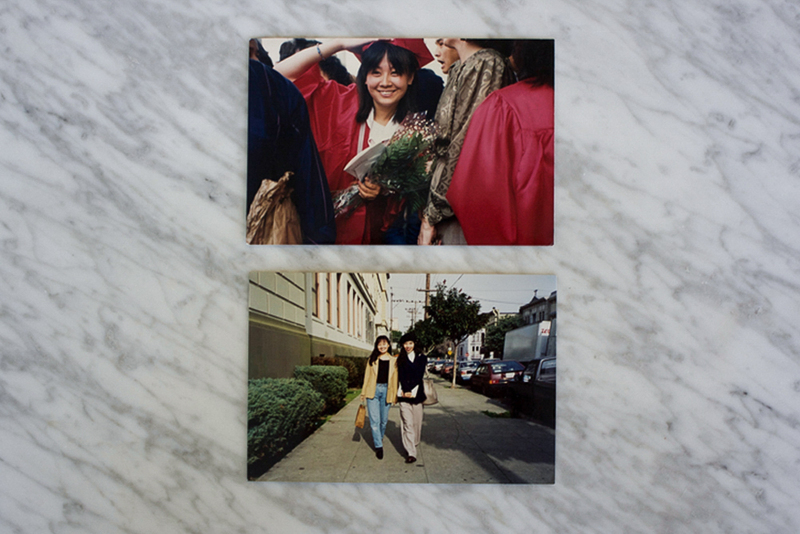 At this time, my mom was starting high school, learning English, and exploring a new country all at the same time. But upon arriving to her new home, the only thing that was on my mom’s mind was where she could score a pair of those jeans. I remember my mom telling me that wearing jeans for the first time is all it took to make her feel like she was ready for her new life in San Francisco. The day her uncle bought her a pair from a shop close by her apartment, she loved it and she still remembers that the pants had a little zipper on the back right pocket, which she thought was funny. But I digress. Because my mom was the oldest out of her two siblings, she took care of them a lot when my grandparents were busy working, and because my mom didn’t have much money, she actually ended up cooking a lot of vegan food (since the ingredients were less expensive) for the family. One day, when mom’s brother and sister were hungry, she came up with this noodle soup and it became my mom’s favorite dish. Now my whole family loves it, and we make it at every family gathering, including Christmas. For me, my mom’s noodle soup is a symbol of home and comfort. When I was little, I’d ask my mom to make me the same exact noodle soup again and again. Even when she wasn’t home, I’d ask my dad to make it. No matter where I am in life, I’ve always had this soup to comfort me. Even when my mom was still relying on food stamps, we at least always had a bowl of noodles to tie us over. And now, many real estate trophies and awards later, my mom still stirs the pot of noodles almost every night for her family, which touches my heart. I’ll miss it when I go off to college. Below, my mom has written down the recipe for me to take to college. She also thought it’d be cute to write it again in Chinese. I thought so too. ✨SECRET TIP✨: She didn’t include this tip in the recipe, but my mom insists to NOT add the water you boiled the noodles into the same bowl you serve it in. Boil new, clear water for the soup base. Also, it’s very important that you use the same brand of vinegar and light soy sauce. Sorry, but it’s crucial for the same taste, my mom says. Check the photoset below to see how it’s done. Hope you love it as much as I do. My mom jokes, “If you don’t miss me in college, you’ll at least miss my noodles.” I love my mom.